Dilworth Park in Center City. Campus Philly is gearing up for its annual citywide "welcome" to college students on Saturday, September 12. CollegeFest 2015 will introduce Philadelphia's many students to the city and its offerings with free admission to museums, games and more. To join in on the fun, students need only head to Dilworth Park at City Hall. Once there they can check in and grab a free wristband that grants all-day access to African-American Museum in Philadelphia, Eastern State Penitentiary, Franklin Institute, Kimmel Center for the Performing Arts, National Constitution Center, Philadelphia History Museum and Philadelphia Museum of Art and Rodin Museum. They can also use the PHLASH bus loop for free to travel between spots. 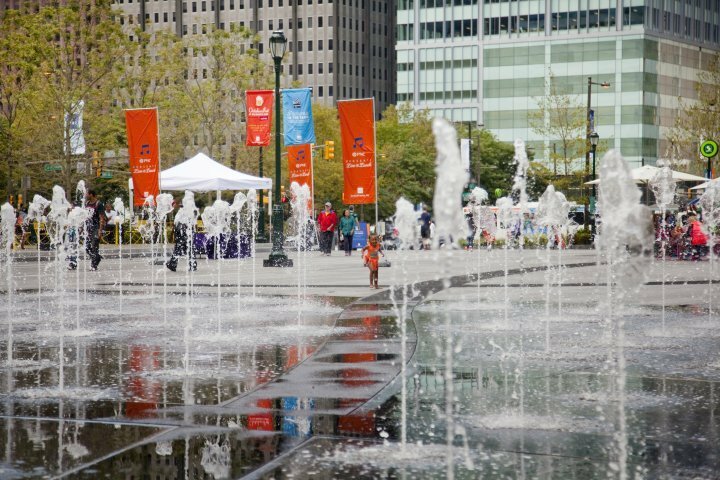 At Dilworth Park, exhibitors will be on hand with giveaways, live music, lawn games and a virtual reality station. Food vendors and the on-site Rosa Blanca cafe will have snacks available for purchase, too. For college students new to the city, this is a chance to mingle with each other and their new surroundings.